Every Jag owner loves the feel of blasting down the highway, engine humming, that nice confident ride, with a great tunes blaring, and the cruise control set at 80. What- your cruise control doesn’t work?? Well, not to worry- 95% of all Jaguar cruise control problems for these models are related to the bellows on the cruise actuator. 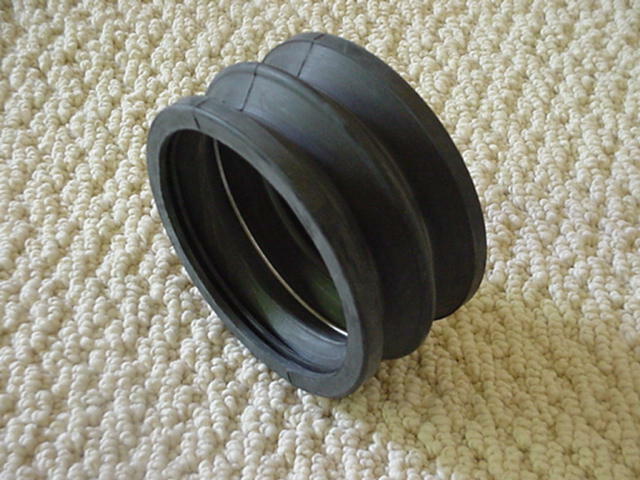 The original (British) rubber material was of poor quality, and the bellows degraded quickly, developing cracks on the sides, loosing its ability to seal to the end caps. A leaky bellows (one that doesn’t hold vacuum) is the key failure point. Jaguar Specialties offers an aftermarket replacement bellows, made form a superior rubber material, and this part has been responsible for fixing cruise problems on multiple customer cars. Installation takes at most 30 minutes and can easily be accomplished by the end user at home. And the best part of this all is that our replacement bellows costs only a fraction of what the Jaguar dealer charges for the original unit. How about that- a better part at a lower price- amazing.